Rarely do I ever pass through Skokie, Illinois. A few weeks ago, I was in the vicinity returning to a Jamaican restaurant that I love. On the way, I passed by a Mexican restaurant that, from the outside, looked like it was something akin to a Chipotle. I figured I would try it out anyway. Much to my surprise, it only had the look and feel of a run of the mill fast food restaurant. 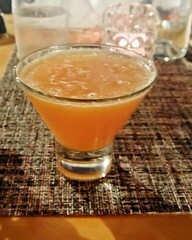 The flavors are what made it stand out as a restaurant I would frequent. 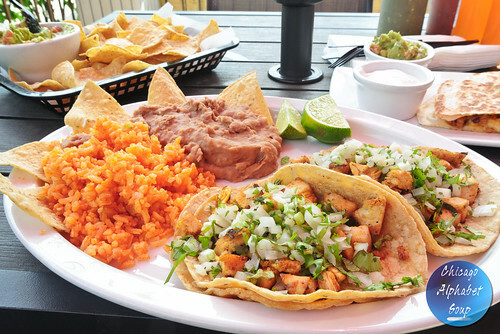 TBK Grill at 7565 Lincoln Avenue in Skokie, is a spot to check out for authentic Mexican food. With booths and tables spaced out nicely, it doesn’t suffer from congestion. 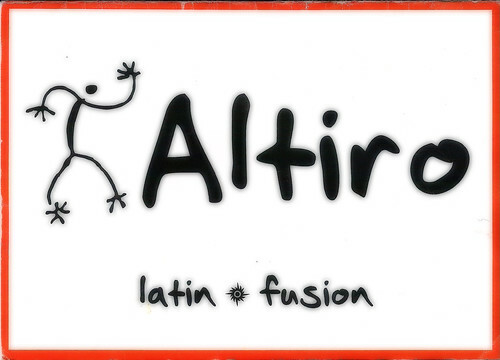 The service was fantastic, and I concede that part of that may be because I switched into speaking Spanish. The grill is behind the cashier, so you get to see your food being prepared. My appetite was ravenous, which is nothing new. I ordered three plates that I considered to be manageable in one seating. The first was chips with guacamole. The guacamole was chunky, exactly the way I like it. I didn’t think to ask if it was possible to get it spicy and with a little bit more cilantro in. It didn’t matter after I realized that the notion of getting it with a kick and more cilantro came after I had gotten down to the bottom of the cup. The second plate that I ordered was of quesadillas with chicken, served with a small side of guacamole and sour cream. 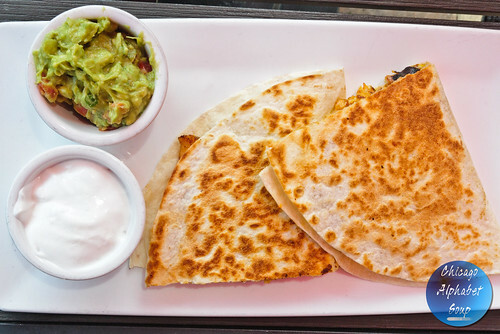 The guacamole was good enough as an accompaniment, but the quesadillas were flavorful enough without anything else for dipping or dousing. 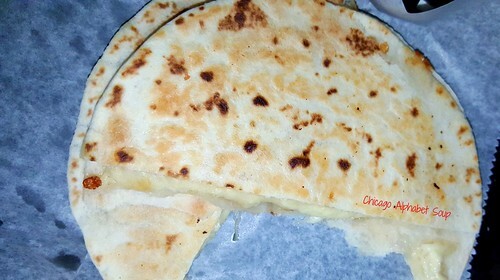 It has been over fifteen years since I had quesadillas that I found to be addictive without any extra sides or condiments. It helped that the chicken was succulent and seasoned well. The taco platter was my final dish. Instead of ordering the tacos with lettuce and tomato like at Americanized taco restaurants, I opted for traditional preparation with cilantro and onions. 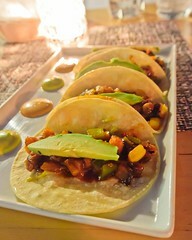 These tacos reminded me of the ones that my Mexican neighbor prepares, which are the best that I have had ever. The yellow rice was neither sticky nor overcooked, and the refried beans were also tasty. Given all of the food that I had, I still finished every bit of it, something I never would have completed had there not been authenticity in the recipe. 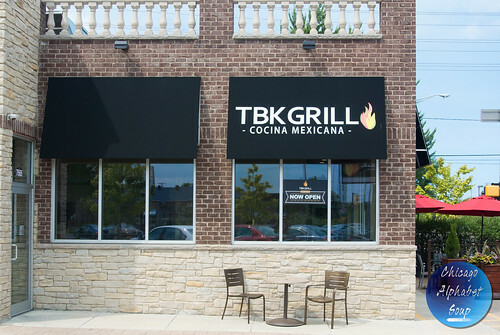 TBK Grill is in a triangle between the tri-section of Howard Street, Lincoln Avenue, and Skokie Blvd. Depending on traffic and the direction from which you’re coming, it could be a task getting into the parking lot. However, once you are there, you’re guaranteed to find satisfaction on the menu. As mentioned earlier, it’s not a hole in the wall, but the food from the kitchen will put you in mind of small Mexican walk-ups. The best. 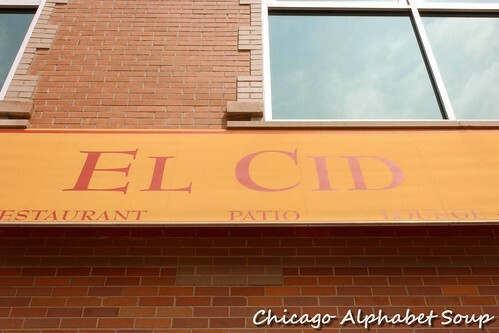 A few years ago, there was an Indian restaurant in Chicago’s West Loop that opened, had really good food, and then ended in a short shelf life. 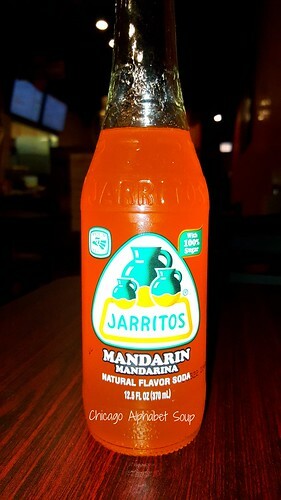 While on Instagram, I saw postings from a Mexican restaurant that has since taken up residence in the location where the Indian restaurant was. 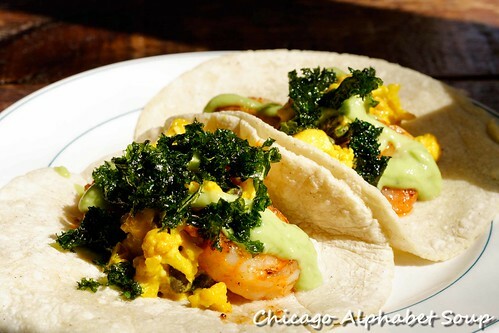 Dón Fresco at 520 W. Harrison Street opened its doors for business within the past few months and the constant postings on Instagram from other diners were the indicators that they were enjoying some good Mexican food. I had a classic, guacamole. 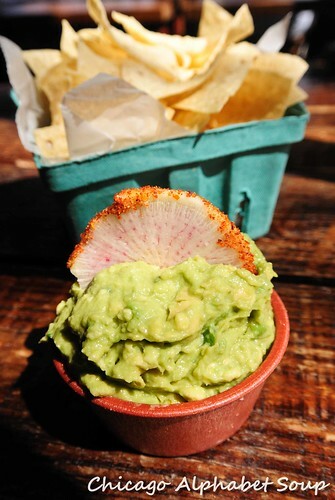 Instead of purée, which is a common way guacamole is prepared, Dón Fresco makes it chunky. 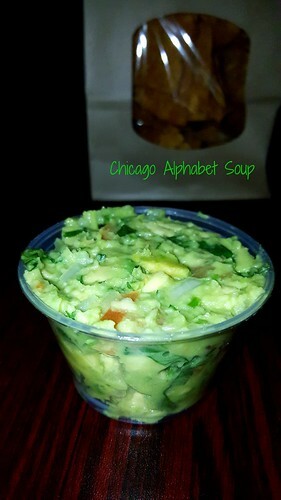 Having had guacamole chunky at a restaurant in Chicago’s Edgewater neighbourhood, I prefer it this way, so Dón Fresco scores high for their preparation. 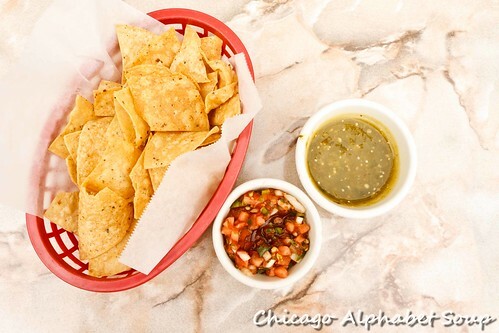 A nice surprise is that the crunchy tortilla chips are made on the premises. They are not purchased at a store; I give a higher score. The second item I tried was a quesadilla. 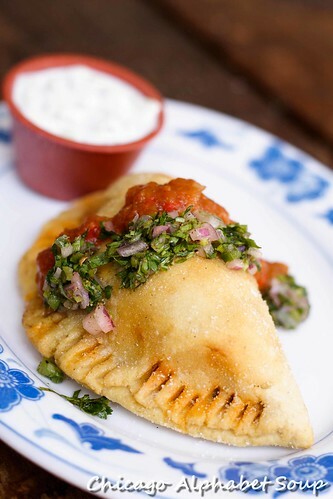 Made with flour tortillas and Chihuahua cheese, the quesadilla was good with salsa verde. I imagine one can order quesadillas with extra ingredients in them like chicken, beef, or vegetables. I recommend ordering a variety for a good sampling. 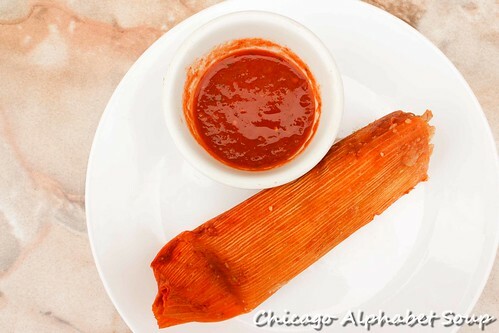 Another traditional Mexican staple is the tamale. This may be the one item that made Dón Fresco a winner for me. I ordered one with chicken and one with frijoles and pepper. 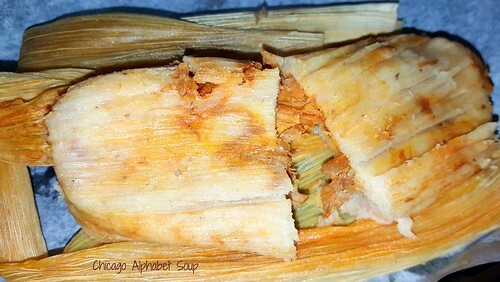 One of my Mexican neighbours once gave me some tamales that he had made at home. 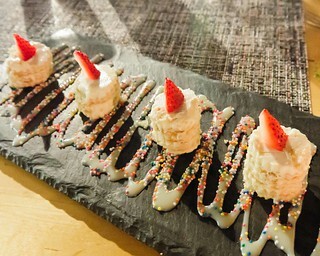 The ones I had at Dón Fresco were reminiscent of what I had from my neighbour. So, I can vouch for authenticity. 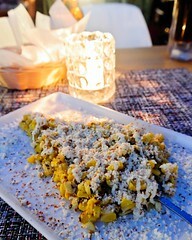 And the same may be said of the elote, albeit not gobbled from a cob. 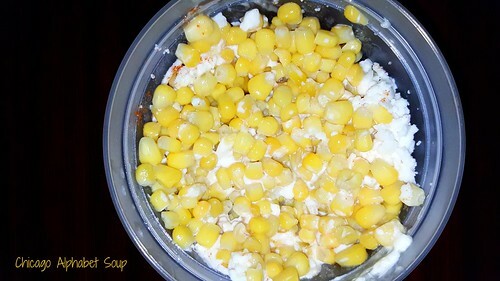 Anyone who loves corn would find it hard to fight the urge to buy some for takeaway. I gave in and had some for to-go. 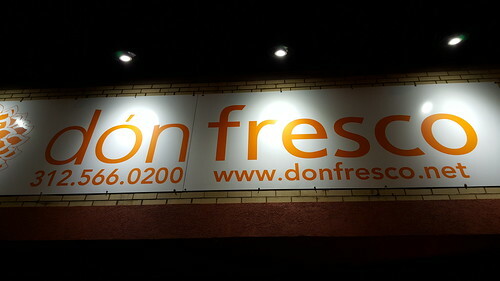 The atmosphere at Dón Fresco screams fast food. The food doesn’t taste fast, and that’s the best part. It’s not fancy and there are no tableside servers. You order at the till, pay for your meal, and have a seat if you’re dining in. 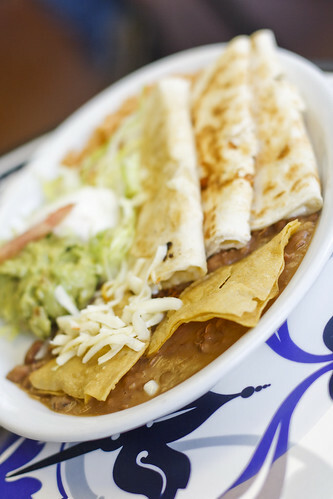 Much like hole-in-the-wall taquerias, there is indeed authenticity in the food that you can’t deny. The flavours are not doctored down for Taco Bell palates. While you can also get an order for takeaway, I recommend ordering for staying. Authenticity isn’t something to rush off to some destination to enjoy. You must enjoy it on location. For my birthday weekend, I took a few days off following the weekend to have some proper time for myself. That meant staying up late, sleeping later in the morning, and eating, the latter being a given. I had been going to the Bryn Mawr corridor for quite a bit of dining options. I had gone to Little India Restaurant on Friday and to Little Vietnam Restaurant on Saturday. Isn’t it cute how the restaurants have “Little” in the names? Well, only a block away from both is a restaurant named That Little Mexican Cafe at 1055 W. Bryn Mawr Avenue. 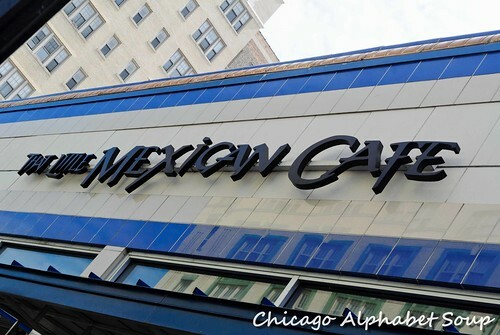 Having acknowledged that I have become a fan of the other two “Little” restaurants, I had to see if That Little Mexican Cafe would become a big part of my life. This is not a hole-in-the-wall. I guess it falls more in line with being a medium-sized restaurant with hole-in-the-wall authenticity. The atmosphere detracts from it falling into the big box category. You do feel like you have gone to a friend’s home, mostly from the setting, and that is a very good thing if you rank customer service over ambience. There were complimentary chips and salsa that I later raved about to friends endlessly later in the afternoon. With me doing something like an extended birthday celebration from the weekend, I still had a Frankenstein monster appetite. Considering this was a new restaurant to me and my intentions were to try something I haven’t had from any other Mexican restaurants, I was still curious as to the guacamole. I’ve had so much guacamole that I should be tired of it. But the tableside guacamole that I got at That Little Mexican Restaurant is the BEST that I have had outside of Distrito Federal. This was chunky guacamole, not puréed. They recognized that avocado already has a creamy texture, and chose not to mess that up by turning it into a coarse pudding. Not wanting to order a chicken or beef dish that would have left me stuffed, I ordered a cazuela camarones. 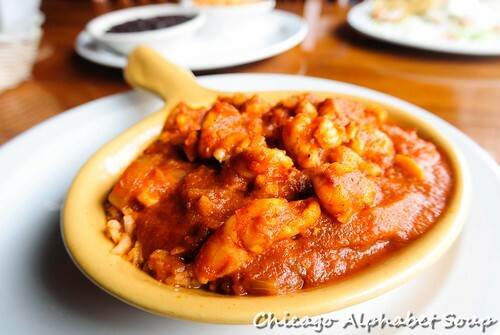 Plump shrimp in a spicy red sauce served over Spanish rice never tasted better. The sauce had a smoky flavour that made the dish reminiscent of a barbecue. 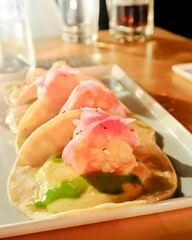 I was not expecting such a pop to the dish and it may have been because I had been so accustomed to ordering tacos, enchiladas, tostados, carne asada, and Tex-Mex that I missed trying other fare like the seafood dish that I was completely enthralled with. 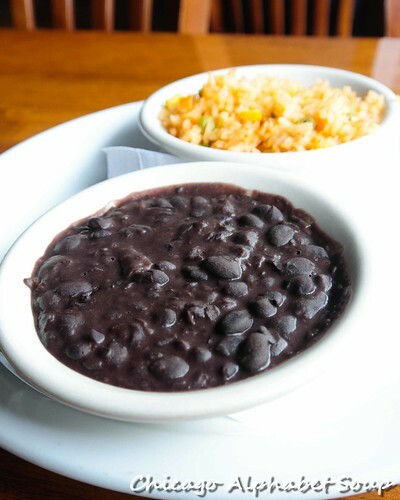 For full disclosure, I ordered some more for take-away, along with another side of rice and the delicious black beans. By the time I did my slow walk out of That Little Mexican Cafe, there were two main things that stuck with me. 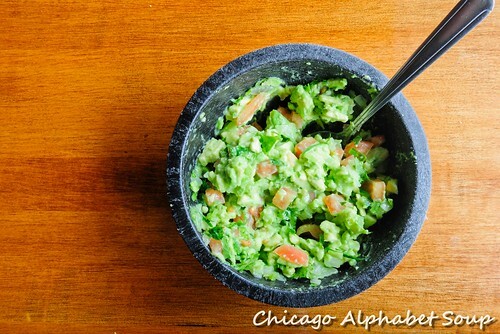 They do the best guacamole in Chicago. I will go even say that it is better than any guacamole I have had in America, so far. 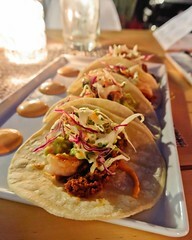 Second is that menu items outside of the usual Mexican fare are outstanding, really, really, very outstanding. Another thing I noticed is that the flavours are not watered down. My server did warn me that the cazuela camarones was spicy and I was very happy that the order went through accommodating my request for the dish to be spicy the way it is served in homes in Mexico. With reasonable prices for the meal, especially given how much I had eaten and ordered for take-away, there is nothing little about That Little Mexican Cafe. 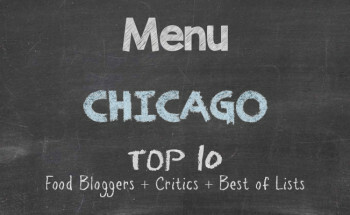 One thing I have noticed as a food journalist is that everyone has a recommendation for you. Quite often, their suggestions fall flat. And many times they hit the mark. I have never been one for following the crowd, as I feel weird and a bit too much like I am a part of group think. Loss of individuality frightens the hell out of me. That also carries over into how I approach my dining experiences. Going to certain eateries because everyone else has been there brings to mind my parents asking me the question, “If your friends jump off a bridge, are you going to jump, also?” Where recommendations come through that make the visit worthy, I accept the fact that everything is okay in the land with the hint. 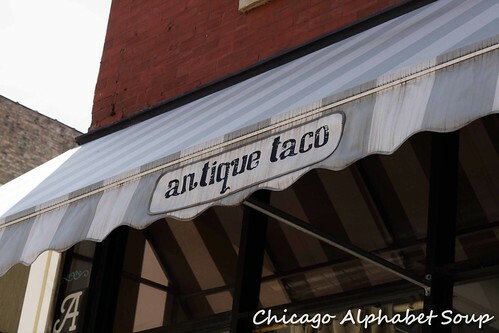 Such was the case when going to Uncle Julio’s at 855 W. North Avenue in Chicago’s Old Towne. Big box. Packed with hungry faces. Full of action. 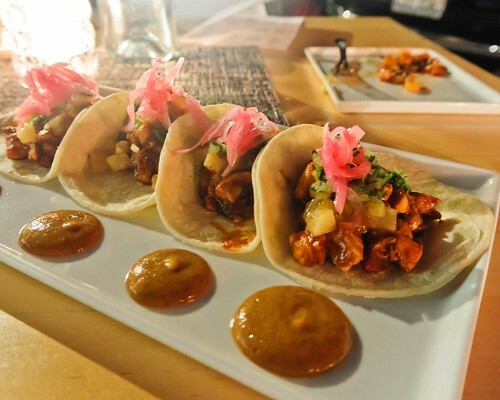 Mexican flavours all in the air. Ready for action. The friend who suggested the restaurant and I got a table and ordered drinks, she ordering a strawberry daiquiri, and me ordering a margarita on the rocks. If I have not said it enough, Latin American bartenders do not hold back when making drinks. The first sip popped and I swooned. Since I was not one of those kids who was glad to get out of his parents’ home so that he could start drinking and, thus, got a big kick out of liquid satisfaction during my college days, I am a bit of a lightweight. Had I been one of those overzealous alcoholics in training, I would have turned up the margarita like I was downing a glass of lemonade. 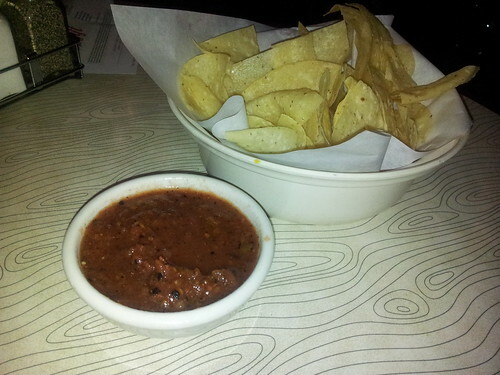 Instead, there was a basket of warm, crunchy chips and home-made salsa at the fingertips. Crunch, crunch, chomp, chomp, chomp, sigh. Warm chips mean they were not from the chips aisle at the local grocery. Well, that was good. And the salsa was not from a jar. 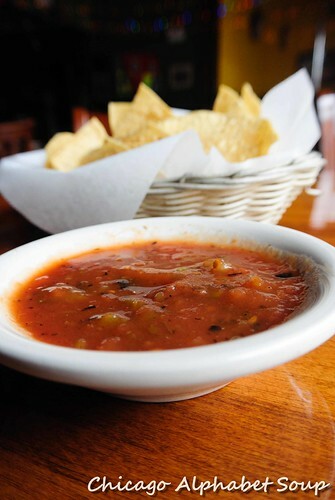 If I had not sworn off partaking of salsa from a jar, I did after indulging the chips and salsa at Uncle Julio’s. 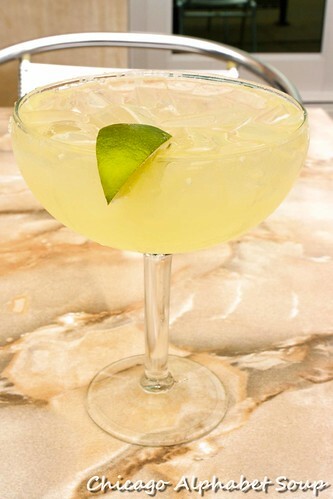 After that, I could resume drinking my margarita without feeling as though I was floating a foot above the floor. We had guacamole. 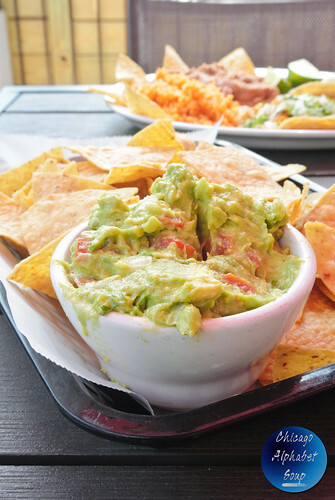 Well, it would be a crime to go to any restaurant and not have guacamole. It would be like going to an Argentinean steak house and not having any meat. It’s just wrong. 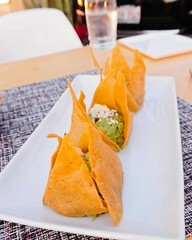 With more warm, crunchy chips, the guacamole was delectable. My friend likes it mild, so there was a bit of the kick missing that I love most about guacamole. Then again, mild food leaves me slightly unsatisfied — a detriment of having grown up in a home with parents who had no fear of spices and growing up going to ethnic restaurants where spices were the main ingredients in recipes. Fresh and home-made, indeed, we polished off the guacamole and noticed another version on the menu. We ordered it, too. 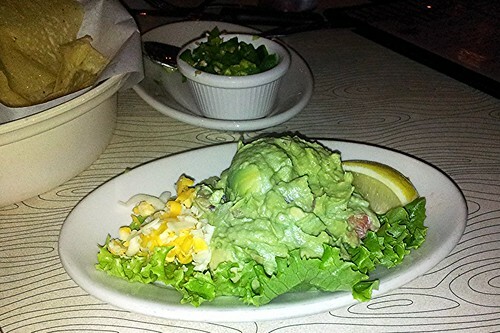 Version two of the guacamole at Uncle Julio’s is prepared with corn and topped with crab meat. Two things worked well with the guacamole. One, adding corn mixed it up a bit, rounding out the guacamole not only with a different texture but also with a hint of another flavour — that being corn. 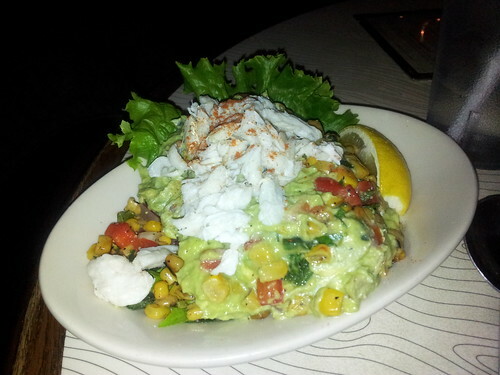 Two, the “real” crab meat was an added touch, as guacamole is always vegetarian style wherever you get it. Because this version of the guacamole came with Habanero peppers, we requested to have the peppers on the side. They are not like jalapeno peppers that you can eat solo. Habanero peppers are dangerous little goodies and I am baffled when I see YouTube videos of village idiots eating them and then being surprised at what happens thereafter. In moderation and certainly with the guacamole con maiz y crab, the mild burn of a few Habanero peppers was tolerable and a bit flavourful as a complete package. Yes, I drank a lot of water to put out the fire. My friend ordered a chicken tortilla soup. It was not bad, albeit more lukewarm than I would have wanted it. It also came to the table a bit faster than I would have wanted my soup to arrive. Quick arrival of cooked dishes to the table makes the hairs on the back of my neck stand up. As I intimated, the soup was quite tasty. 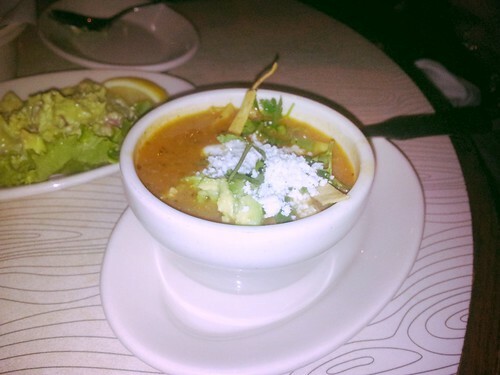 I have had vegetarian style tortilla soup at a restaurant in Chicago named ¡Que Rico! and can’t say enough about how much I loved it. That bowl of love has since become my benchmark for damn good tortilla soup and the cup of it at Uncle Julio’s was a hint that there is still some more work to be done. And part of the work may be to exclude the crumbled feta cheese. You find that there is a bit of a Mexican and Greek competition in the cup. For an entrée, I had enchiladas pollo verdes con arroz y ensalada. Now, that was done to satisfaction, almost to the point of rivaling any of the small taquerias dotted throughout the Mexican neighbourhoods. The green salsa had a spicy bite to it that I was glad to have working in my jaws. While I have had some rushed Mexican platters, the rice is one menu item that has not been messed over and the same was applicable with the rice I had with my entrée. I could have eaten it as a complete meal. Now, usually there would be a side of frijoles. Not the case here and I made a mental note that this is a point that taquerias always get correct. You would not expect to have a staple missing like that, but each restaurant has its own feel. The entrée was completed with only the remnants of gravy smearing left on the plate. And I also washed it down with a strong mojito. Uncle Julio’s is a chain with locations in Texas, Virginia, Georgia, and Florida. 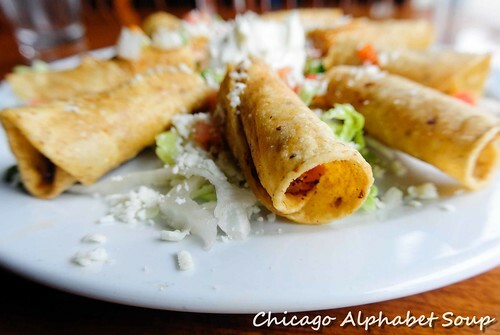 The Chicago location certainly embraces Mexican authenticity in the ingredients and preparation. No doubt the kitchen staff comprises Mexicans only anyway. Be forewarned that you will enter a crowded restaurant that is practically bursting at the seams. There are two rooms — the main dining area and the seat-yourself bar area. Having opted to sit in the open bar area, I can only speak to how much high energy there was in that section. As to the main dining area, the queue looked long and an extended wait coupled with a growling belly may not be an appealing thought. For all that came to the table, the price tab was far less than I had anticipated. 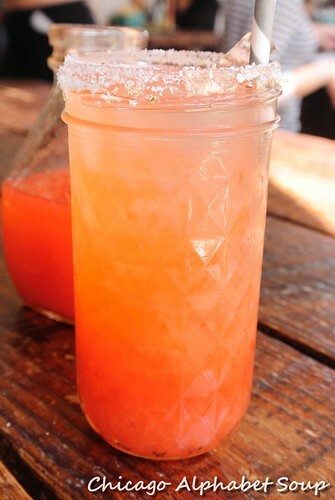 Once you have been to Uncle Julio’s, it is easy to understand how it is a favourite to many dining patrons. If ever I am in the Old Towne area and have a hankering for something with a Mexican flair, and I am not famished to the point of chewing on curtains, a dash to Uncle Julio’s will do just the trick. Are there times when your mind wanders back to something that brought a smile to your face and you wish that you could return to that time and live through that smile-inducing experience again? Are there moments when you recall a certain dish that was so good you found yourself thinking that it would never be as good as the first time? Are there times when you pass by places and find yourself captivated by something you saw in the window briefly? I have those deja vu episodes all the time. Mostly my precious memories involve food. And, yes, I smile. This was the case recently when I was in Oak Park going to a certain wine shop to buy a bottle or two of wines. On my way, I took the scenic route and to my wandering eyes should I espy a Mexican cafe. 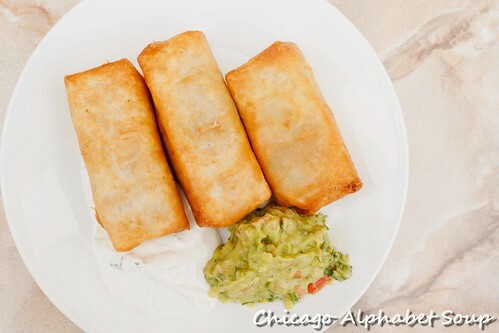 Nothing spectacular, rather small in size, I recalled my days of living in Chicago’s Rogers Park where I had my pick of Mexican holes in the wall that served food so delicious that it had dawned on me several months after constant visits that my Spanish had improved. Fresh Mex Cafe at 1110 Westgate Street is immediately off of Marion Street, a thoroughfare where you can find a plethora of cafes, restaurants, and specialty boutiques. With only a few chairs for seating and rather cramped, it was also a bit reminiscent of some small shanties where I had been warned not to go in Mexico City when I was there years ago with work. American accent intact, I ordered quesadillas con arroz, frijoles, and salad. 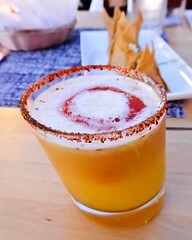 And there was no way that I was going to have anything to drink other than a pineapple Jarito. For all you lovers of high fructose corn syrup in your beverages, get your fingers around a Jarito that gets its sweetening from cane sugar. You will thank me. 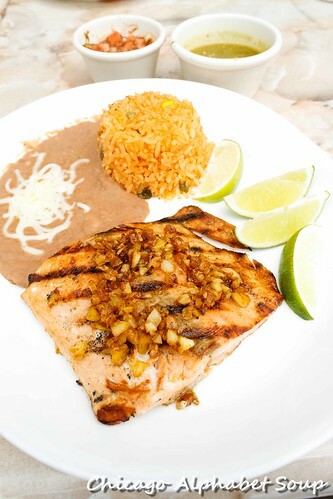 Truly Fresh Mex Cafe is about authenticity. I started with chips and salsa. The chips were not unflavoured Dorito’s — absolutely not. These were fresh and a bit warm, which was all the indication that I needed to realize that they were made in-house. 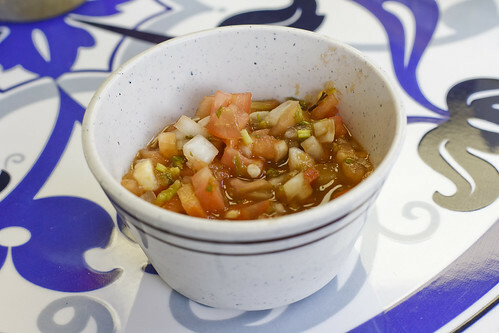 The pico de gallo, although looking rather pedestrian, had a kick to it that made me want to dance the mariachi music playing in the background. Chunks of fresh tomatoes, onions, cilantro, and jalapeno peppers were all that I needed to have me no longer wanting any kind of salsa from a jar. Then the quesadilla with all the trimmings came. Chihuahua cheese between corn tortillas and cooked on a griddle were served up with Spanish rice that was neither al dente nor mushy. And let me not forget about the frijoles with extra crunch tortillas and the salad that came with a dollop of sour cream and a grande scoop of guacamole. Mind you, the guacamole was just avocado and tomatoes, no extra additives, but the taste was perhaps ten notches past divine. No mentira. With pineapple jarito in hand, my lunch was complete. I had not just entered a restaurant, but I had gone into some Mexican’s kitchen and had a taste of home. There were only two dessert options on the menu. One was a flan. The other was tres leches cake. The main plate was so filling that I opted for the flan. 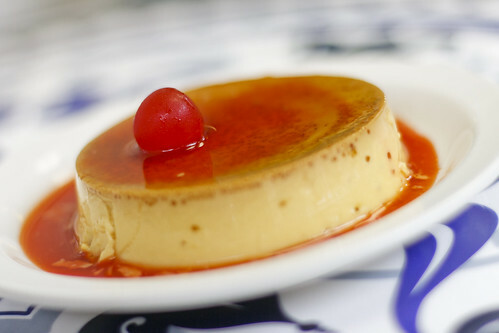 Accented with a thin caramel glaze and topped with a cherry, this flan was so creamy that you would have thought that it was custard. There was a texture akin to the lemon in the lemon meringue pies that I bake. 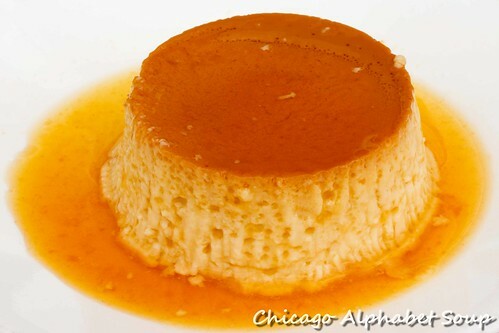 Only in Mexico where no one spoke any English — or tried — have I had flan that heavenly. It may sound cliché, but I didn’t know what to do with myself, everything was so remarkable on my tongue. I think I discovered some secrets, whatever they may be. 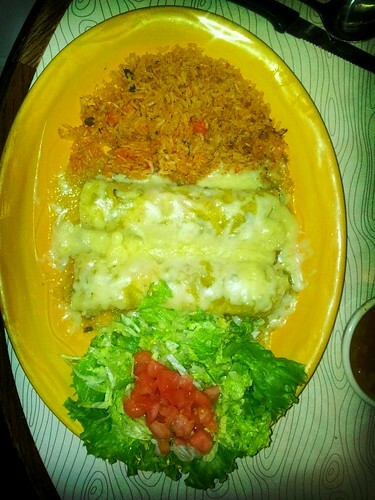 Fresh Mex Cafe is indeed a hidden gem. On a side street that enters into a stretch for a parking lot, you could pass by it and think that it was one of the few businesses that have closed. There are no fancy signs, flash, fanfare, or indicators to grab the attention. Much like me on the day that I went, you have to casually stroll through the area and take in the scenery slowly, not in a rush. And once you go inside, be prepared to be served some outstanding comida de concina por Mexicanos quienes saben comadia buena.